BRUSSELS (Reuters) - Europe's second-highest court will rule on Thursday whether a Belgian tax break which benefited some 35 large companies is illegal state aid, a judgment which could provide clues to other tax cases involving Apple, Starbucks and Fiat Chrysler. As part of its crackdown on tax avoidance, the European Commission three years ago ordered Belgium to recover some 700 million euros ($790 million) from the group, saying the companies' "excess profit" tax plan gave them an unfair advantage vis-a-vis smaller firms. The scheme allowed the companies to claim deductions for economies of scale, reducing their corporate tax base by 50-90 percent. Dutch industrial company Magnetrol and Belgium subsequently challenged the Commission's decision at the Luxembourg-based General Court. The largest beneficiaries were Wabco, Cellio, BP, BASF, Atlas Copco and Belgacom. Judges may also rule whether it qualifies as a scheme or are just individual tax rulings. The tax avoidance drive has included orders to Ireland to recover some 13 billion euros from iPhone maker Apple and Luxembourg to claw back up to 30 million euros from Fiat Chrysler, 250 million euros from Amazon and about 120 million euros from Engie. The Netherlands has to recover between 20-30 million euros from Starbucks. All the major companies have challenged the EU rulings. At stake is whether the Commission is over-stretching its powers by using its state aid tool to address tax fairness concerns. 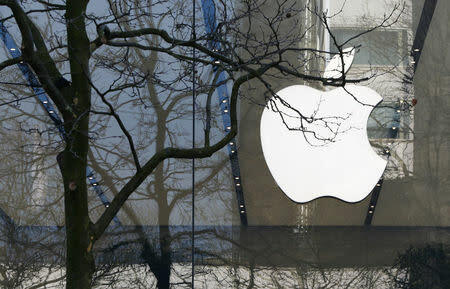 The United States has criticized the cases against U.S. companies and notably in the Apple ruling it has accused the EU of grabbing revenue intended for U.S. coffers. The cases are T-131/16 Belgium v Commission and T-263/16 Magnetrol International v Commission.